Made to order for you with your loved one’s fingerprint. A stylish way to keep loved ones close. Fingerprints so true to life you’ll swear your loved one just touched it. Create yours with one or two fingerprints. Inquire to further customize with gemstones. For the fashionable and sentimental. 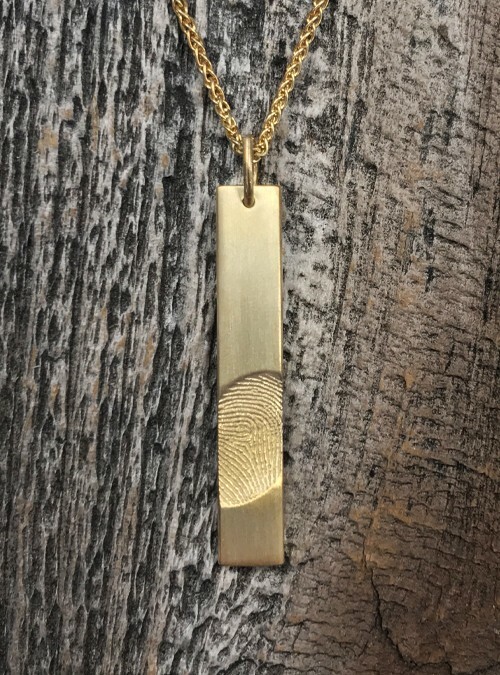 This rose gold vertical bar necklace is a stylish way to keep your loved ones with you wherever you roam.